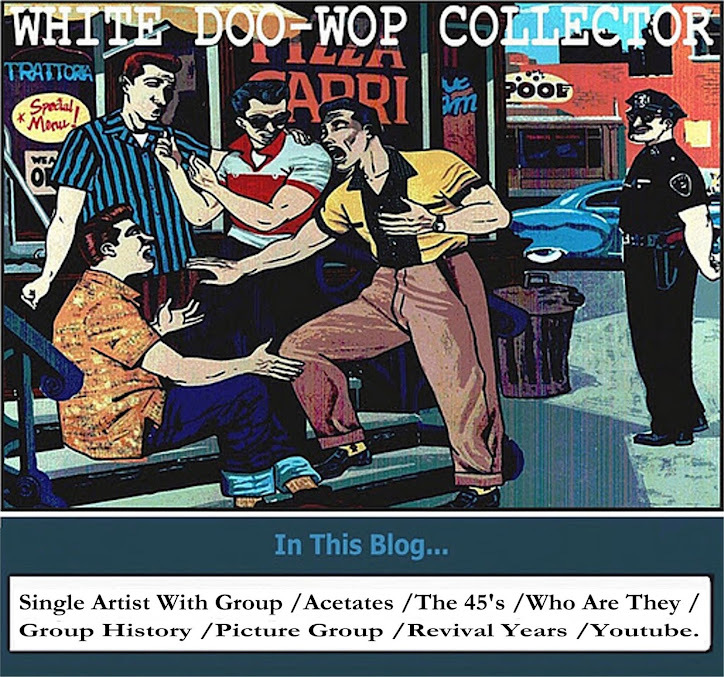 White vocal group from Akron,OH. formed by Jordan Zankoff,Darrel McDonald,Gene Blackford and Phil DiMascio. 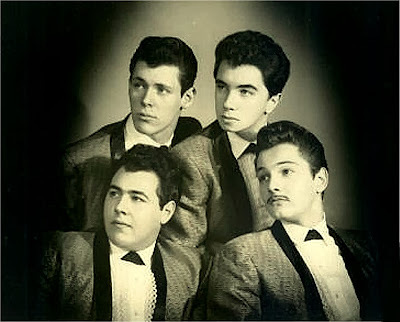 In 1960 recorded the sides_It's Midnight/Doom Bada Doom. for Sure Records. Later Jordan was involved with JORDAN & THE FASCINATIONS (see in this blog). In the late 1950s, Jordan Zankoff and pals Gene Blackford, Phil DiMascio and Darrel McDonald formed a doo-wop group called the Fascinations. The boys performed at sock hops and appeared on WEWS-TV's One O'Clock Club. 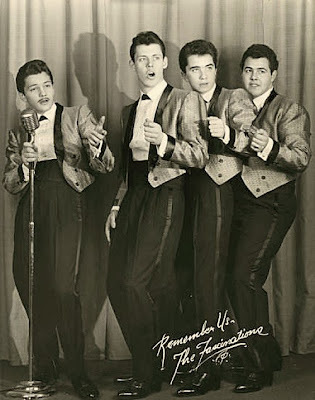 In 1960, the Fascinations cut a 45 RPM record for the Sure label in Philadelphia.The featured song was It's Midnight, a romantic serenade with soaring vocals, while the calypso-tinged Doom Bada Doom was the flip side. Although it wasn't a hit, Zankoff had found his niche. Things happened quickly after that.Zankoff married an Akron woman, Mary, in 1961 and welcomed a daughter, Jodi, a year later, but the marriage ended in divorce in 1964. The singer changed his name to Jordan Christopher, eliminated his mustache and moved to New York. With a new lineup and new name, Jordan & the Fascinations (see in this blog).